The focus of the study was to evaluate the effects of a low-residue diet compared to a clear liquid diet on the day prior to colonoscopy. Adequate bowel preparation for colonoscopy is essential. For many years, a clear liquid diet on the day before colonoscopy has dominated practice. For patients, this clear liquid diet is a major alteration from their daily lives and is a source of frustration and lack of enthusiasm about an already undesirable procedure. The clear liquid diet may act as a deterrent for patients to undergo colonoscopy for appropriate screening for colorectal cancer. For this reason, we performed a meta-analysis to evaluate the use of a low-residue diet, rather than a clear liquid diet, on the day prior to colonoscopy. This meta-analysis consisted of 9 randomized controlled trials (RCTs) with 1686 patients. RCTs comparing a low-residue diet to clear liquid diet on the day prior to colonoscopy were selected and analyzed. The analysis showed that a low-residue diet on the day prior to colonoscopy had statistically significant higher odds of tolerability (Figure 1) and willingness to repeat the bowel preparation. Furthermore, the low-residue diet demonstrated no difference as compared to clear liquid diet on the day before colonoscopy for adequate bowel preparations (Figure 2). 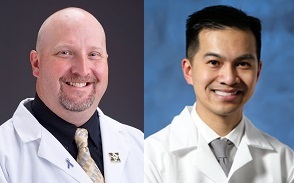 The results demonstrate the a low-residue diet the day before colonoscopy has improved tolerability and willingness to repeat preparation while not negatively affecting the quality of the bowel preparations or adverse effects. 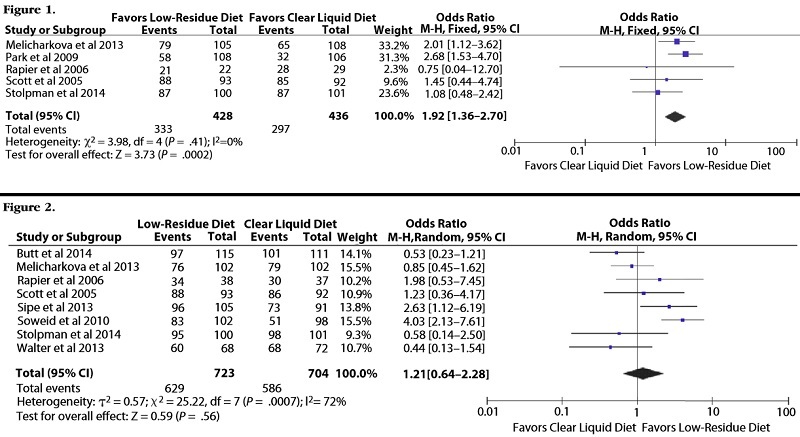 Based on this meta-analysis and RCTs, the days of clear liquid diet before colonoscopy have come to an end. We recommend a change in practice and allow patients a low-residue diet on the day before colonoscopy.